I have been LOVING all the “Power Hour” speed cleaning videos on YouTube lately. This trend was started by the wonderful Style Mom XO on YouTube and it is basically where you dedicate a full hour and clean your house as fast as possible. I LOVE these videos and while I find them very motivating, sometimes I just don’t have a full hour to clean! This checklist isn’t about deep cleaning, it is a quick and “good enough” speed cleaning method that can get your home company ready in 30 minutes flat. You will still have to “Power Hour” clean your house sometimes, but when in a pinch (or when feeling lazy), this method will give you a pretty clean and tidy home in half the time. Here is my Dirty 30 Speed Cleaning Checklist! 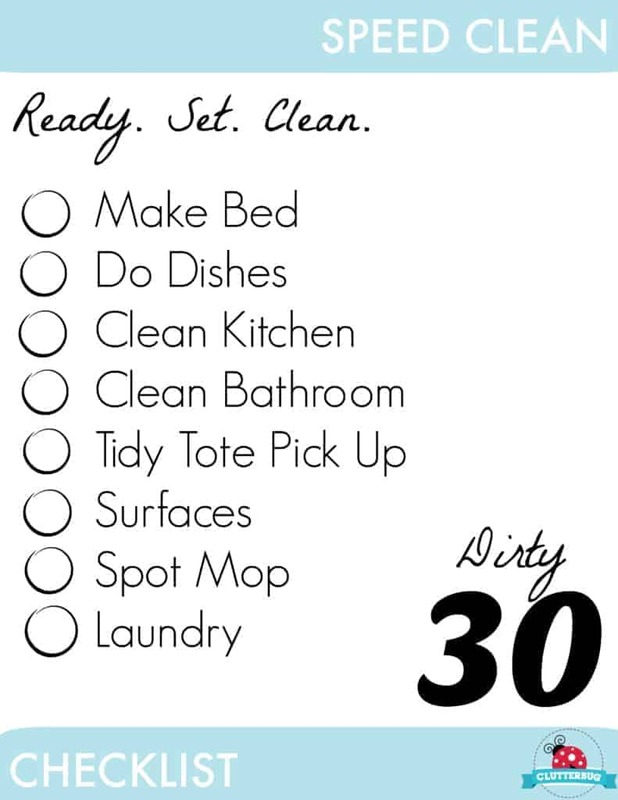 You can download it for free Dirty 30 Checklist. Michaels Decor Hack – DIY Christmas gift for under $10!